Copenhagen, Wednesday 31 May, 2017 – Responding to advice on Baltic fish stocks released today by the International Council for the Exploration of the Sea (ICES), campaign group Our Fish called on Baltic Sea Fisheries Ministers to take urgent action to prevent the collapse of the region’s cod fisheries. The ICES advice on Baltic fish stocks for 2018 demonstrates that the Baltic’s cod stocks are still severely overfished, despite a year of strong breeding by the western Baltic cod (1). 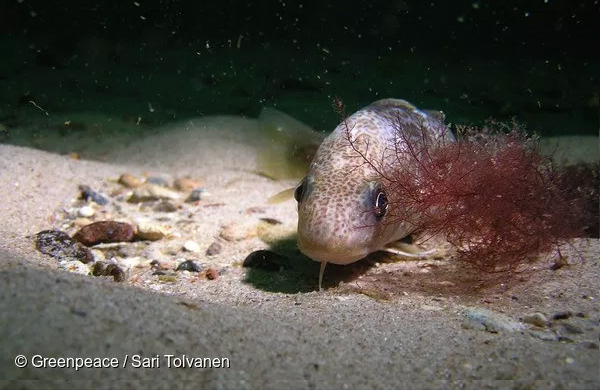 ICES also reported that over 11 million undersized Eastern Baltic cod will be caught as unwanted catch – with a large majority of these illegally thrown back dead or dying (2,3). “To avoid collapse of the Western and Eastern Baltic cod stocks and secure future generations of fish, Baltic Sea Fisheries Ministers must not only heed this year’s catch advice from ICES, but also allow fishers to develop more selective fishing gears and remove the wasteful forms of bottom trawling currently in use, which are threatening both our fish stocks and our coastal fishers”, said Our Fish Campaign Manager Rebecca Hubbard. “Western Baltic cod has been so intensively overfished, teetering on the brink of collapse for 10 years, that even after a strong 2016 year class, stocks are still at the second lowest biomass levels since the early 1980s, and outside of safe limits for repopulating to a healthy state (1). Our Fish is calling on Baltic Ministers to use this rare opportunity to rebuild the stock and adopt the most cautious scientific advice for 2018”. The ICES advice forms the scientific basis for deliberations over Baltic Total Allowable Catch (TAC) limits that are set at the annual EU Agrifish Council meeting in October. Despite their important role in applying the Common Fisheries Policy and ending overfishing, these Agrifish Council meetings have been criticised for their lack of transparency and accountability, and persistent failure to set fishing limits according to the law (3)(4). Last year 4 out of 10 fish stocks were set above scientific advice, with governments knowingly perpetuating overfishing and the decline in social and economic values (5). The eastern Baltic cod stock once represented a goldmine for fishers, but catches have been plummeting for 30 years. From an extraordinary peak at 400,000 tonnes in the 1984 to just under 57,000 tonnes in 1992, this year ICES advice recommends a catch just over 22,000 tonnes – one eighteenth of its former peak (3). “In recent years, Denmark and Germany have strongly advocated for overfishing, ignoring ICES advice (5,6). If Danish Minister for Environment and Food Esben Lunde Larsen and German Minister of Food and Agriculture Christian Schmidt do not stop this senseless plunder, at least 10% of which is being thrown away as discards, mainly from destructive bottom trawlers, they may be responsible for the commercial collapse of this once great fishery, instead of the sustainable and secure future for coastal fishers which it could be,” concluded Hubbard. Western Baltic cod is suffering from age-truncation, a reduction in the age when fish become mature. The proportion mature at age 2 in 1994 was 35%, whereas the most recent estimate for 2016 is 71% mature at age 2 . Similar to the eastern Baltic stock, this age-truncation is a result of overfishing over the long term, with larger, more fecund ‘mother’ cod selected out. The total commercial catch advice for western Baltic cod, based on the Baltic Multi Annual Plan, is a range from 1 376 tonnes to 3 541 tonnes. ICES has assessed 1 754 tonnes goes to recreational catch (1). The eastern Baltic cod fish stock has been so fundamentally altered over time that a lack of reliable data makes stock assessments unreliable, and ICES advises a precautionary approach (3). For the eastern Baltic cod, in accordance with the precautionary approach (due to a lack of reliable data), the EU portion of the TAC corresponding to ICES advice should not exceed 26 071 tonnes (3). Limited observer data indicates that undersized cod represent more than 10% of the total eastern Baltic cod catch in tonnes (equivalent to 11 million individuals), while landings of undersized cod are very low and discarding still takes place, despite the Landing Obligation being in place since 2015. ICES (2017). Report of the Baltic Fisheries Assessment Working Group (WGBFAS), 19-26 April, 2017, ICES HQ, Copenhagen, Denmark. ICES CM 2017/ACOM:11. New Economics Foundation (2016), Landing the Blame – Overfishing in the Baltic Sea 2016. Marteinsdottir G, & Begg G.A. 2002. Essential relationships incorporating the influence of age, size and condition on variables required for estimation of reproductive potential in Atlantic cod Gadus morhua. Marine Ecology Progress Series, 235: 235–256. Our Fish brings together organisations from across Europe to speak with a common voice: overfishing of our waters must be stopped, and solutions put in place that ensure Europe’s waters are fished sustainably. Our Fish demands that the Common Fisheries Policy be properly enforced, and Europe’s fisheries effectively governed.